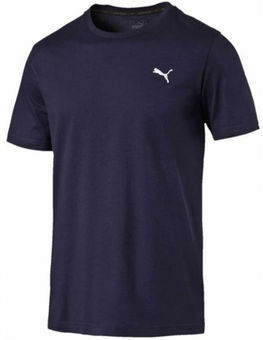 Sports t-shirt Puma Essential with short sleeves. T-shirt is perfect for everyday wear on different occasions, as well as for physical exercises in gym. The breathable material provides maximum convenience and comfort. The shirt is made of high quality materials, well arranged on the body emphasizing the advantages of a male figure.